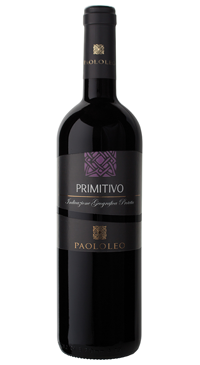 The Primitivo grapes are sourced from Sava and Manduria, near Taranto. The vines are trained using the albarello method (bush vines) and the grapes are harvested in the morning in order to retain acidity and freshness. Fermentation and ageing is all in stainless steel, so the focus is on primary fruit. Bright ruby ​​red color with purple reflections; very intense and fragrant bouquet , with notes of cherry and wild berries; on the palate it has a very pleasant enveloping structure with excellent length .